The holiday season is an exciting time for email marketing. 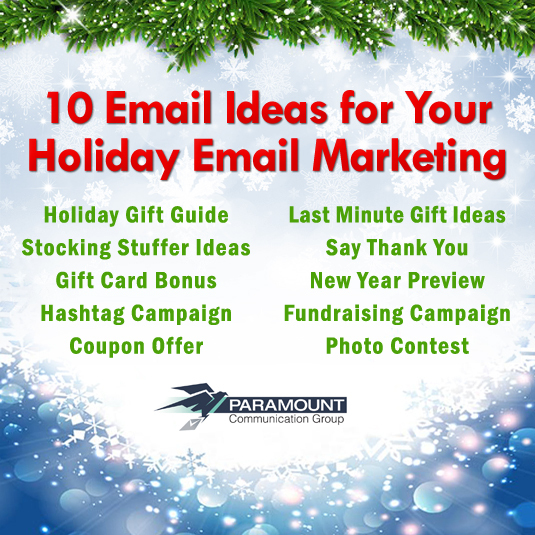 Businesses can embrace the holiday spirit and engage with their email lists in fun ways that can drive responses. Holiday campaigns can also benefit cross-channel promotions, engaging not only email recipients, but also social media followers. If you’re looking for ideas for creative campaigns to boost your marketing strategies, look no further than the infographic below! Here is a list of ten ways that brands can engage with their email recipients during the holiday season.